Opponents will find it incredibly difficult to strike you when faced with this lightweight and highly maneuverable shield. Combined with the correct weapon, victory is all but assured. 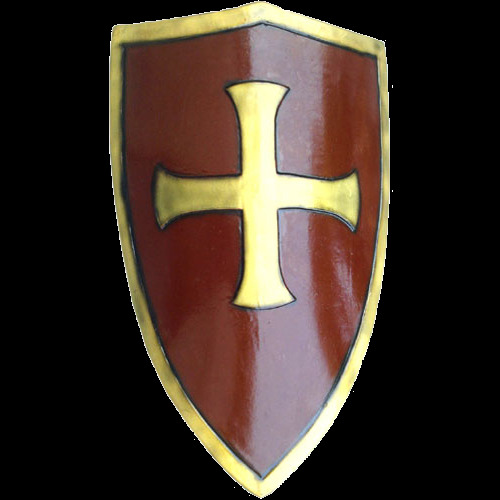 The Templar shield is based on the standard "heater" shield and provides the maximum amount of protection with flexibility of use. That was the reason that this design was the most popular one in the Middle Ages for almost eight hundred years.